A different species of Japanese maple, the Green Cascade Japanese Maple has larger leaves and greater resistance to sun-scorch than its delicate relatives. As well, left alone it will form a spreading mound, not a tree, making it ideal for cascading down banks, over walls, or out of tall pots. With its wonderful fall color this is a must-have tree to enjoy vibrant gold, orange and reds splashed across the leaves. No other tree will flow like a stream down your garden and give such an exotic and stunning fall effect. Although it will naturally stay low, if you want a taller Japanese maple with weeping branches, it is easy to stake this tree upright to get more height with a full weeping effect. Although a different species, the Green Cascade Japanese Maple still has the special leaves like an outspread hand, of Japanese maples, but they are larger and so even more outstanding. Japanese Maples come in a wide range of sizes, shapes and even colors – there are some varieties with spectacular red foliage. This variety makes the family incredibly useful to gardeners because there’s one to suit just about anything you want to do. 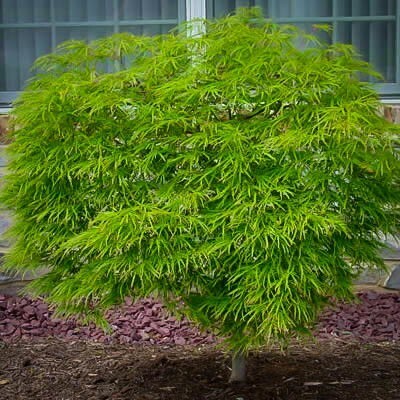 Whether you’re looking for a shade tree, a colorful accent to enhance the trees around it or a compact centerpiece for a smaller space, a Japanese Maple that fits the bill can be found. 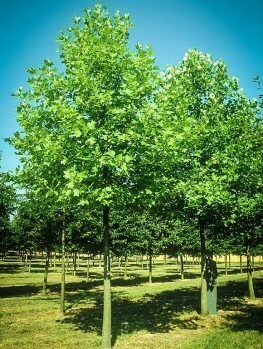 If you’re looking for a Maple to fit a more confined space we highly recommend Green Cascade. 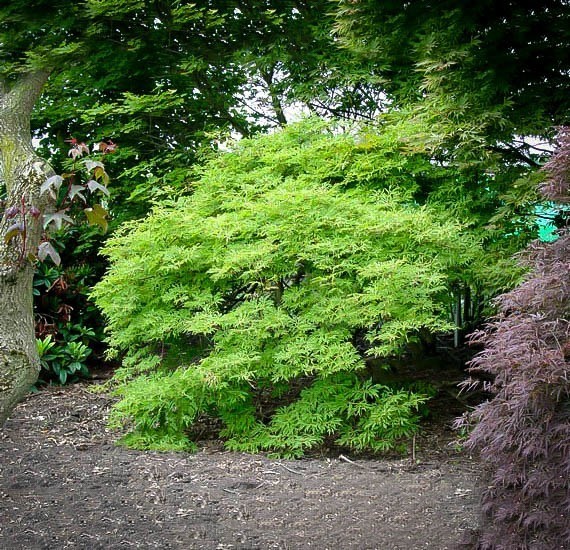 Green Cascade is a small Maple; in the first ten years it usually only reaches a height of between four and five feet, but when fully mature it should be at least ten and sometimes up to 20 feet tall. 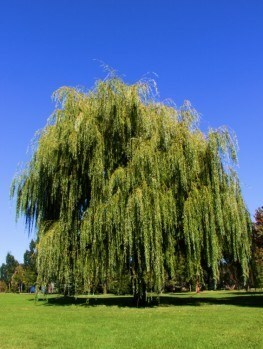 It’s quite a wide plant, too – when mature it usually spreads out to between 15 and 25 feet wide. Often it splits into multiple trunks just above ground level. 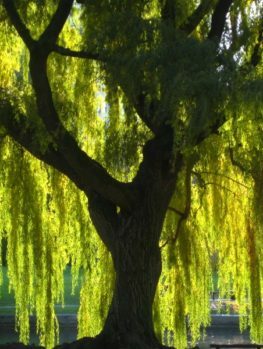 What makes its form so attractive is hinted at by its name – the branches curve out in an impressive cascade, stronger-looking than a traditional weeping form but every bit as alluring to the eye. It spreads relatively quickly; instead of a dense bush, when young it shows a more open, almost sprawling shape. It does become much denser with age. 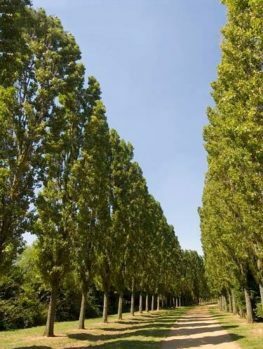 The leaves are elegant – finely divided, delicately veined and prolific. In spring and summer they display a bold green color, soon enhanced with striking red flowers that begin to appear in early April. After the flowers come, a plentiful crop of samaras (winged seed pods) that ripen through late summer and take on a red hue of their own. In fall these provide a rich food source for a variety of birds. By this time the tree itself is adopting its fall colors of vivid crimsons and yellows, bringing the outdoor months to a glorious close. Its final charm is that even in winter it remains attractive, with its branches forming an intricate silver-gray tracery. Winter gardens can be bleak, but a Green Cascade will ensure there’s still something worth looking at. 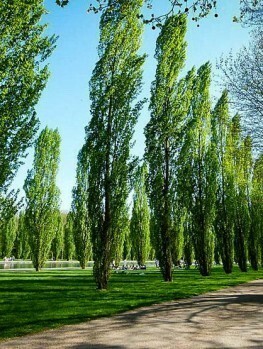 Although the Green Cascade isn’t quite as robust as some other Maples, it can still be successfully grown through most of the USA. It’s suitable for USDA hardiness zones 5 to 7, so it should do well down most of the East Coast (apart from New England) through the southern and central Midwest and across much of the west. Anywhere with a decent amount of rainfall is a suitable environment for it. Late frost can be a problem though. 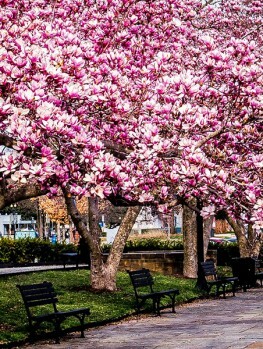 The foliage tends to open quite early in spring and is vulnerable to damage if there’s a last cold snap. While the tree is small consider protecting it in winter with a burlap frame filled with dry leaves. Like other varieties of Maple trees, the Green Cascade prefers acidic soil although it can tolerate neutral pH levels as well. If your soil is neutral consider digging in some peat moss before planting; if it’s slightly alkaline you can improve it with some powdered rock sulfur. 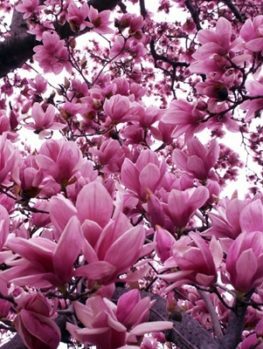 The soil does need to be moist and well drained; this tree won’t tolerate dry ground. When looking for a spot to plant your Green Cascade Maple consider sunlight carefully. It can handle full sun as long as it’s not too intense, but in southern states it may scorch in summer. It’s better to find somewhere that offers partial cover; the dappled shade of a larger tree is ideal. Also think about exposure to winter weather, as too much cold wind can cause damage. If it is going to be in direct sunlight try to ensure it will have sun in the morning and shade in the afternoon. In general, the Japanese Maple (including the Green Cascade), is quite an easy tree to look after. It doesn’t require pruning, although if it spreads too far it’s simple enough. Just ensure you prune after the danger of frost is gone, and no later than early summer. Aphids, scale, borers and caterpillars are potential pests, so check occasionally and use a suitable treatment if any are found. Add organic mulch in summer to keep the roots moist. Green Cascade is a very attractive tree that’s perfect as an understory to larger species or as a centerpiece in a smaller garden. It puts on a good show all year but is especially magnificent in fall. It also attracts songbirds and beneficial insects, so we highly recommend it.